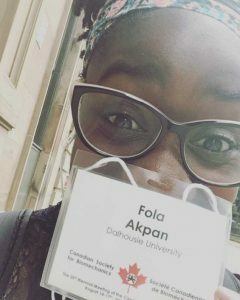 Promoting Leadership in health for African Nova Scotians (PLANS) is writing a monthly blog post highlighting “Faces of Black Health”. 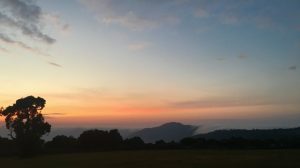 This post highlights Kelly Carrington and the professions of Registered Massage Therapist & Doula. 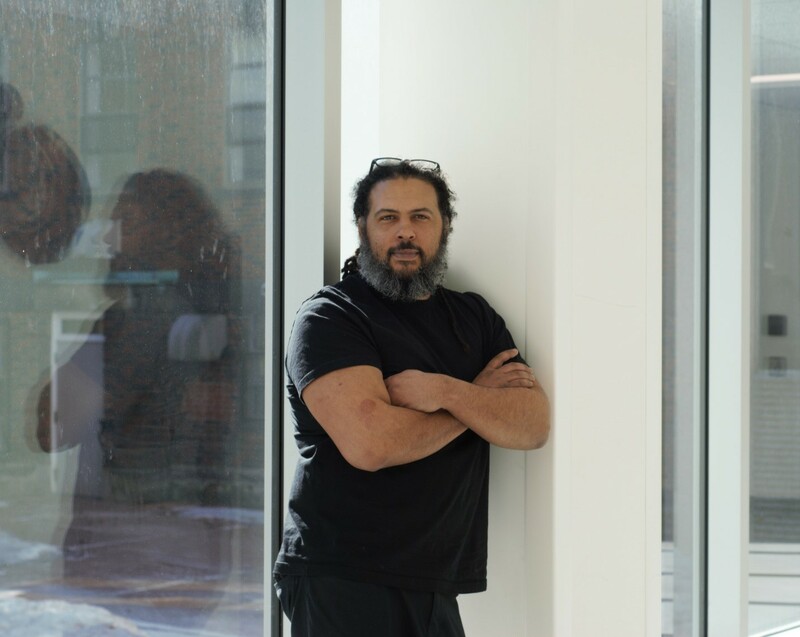 I am a dad of three boys primarily, a husband, and also a Registered Massage Therapist (RMT), have been for 18 years, and I run my own mobile massage therapy company. I am also a birth doula. What’s your role in your health Profession? As an RMT I provide massage therapy services, but my company model is mobile, so I go to companies and I go to people’s residence to provide services. As a birth doula I provide education to families, prenatally, I provide physical and emotional support during the the birth day itself, and then provide postpartum support for the families as long as they need afterwards, but nothing clinical. Doulas do not deliver babies, which is the biggest misconception, that is for the OB/GYN and midwives. A lot of it is education, so before the baby comes we will go through prenatal education, so pretty much anything they want to know about, whether that is the physical changes in the body or the physiology of the actual act of birth and what happens, all the hormone changes, etc., and during that time we make a plan on how they would like to see the outcome of this happen. Obviously, they’d want mom, baby and family healthy, but how do you actually go about doing that? Now it is often very medicalized, and it doesn’t always need to be, and people don’t know that. Most people think that you get pregnant, go to the hospital, have your baby and go home, but you don’t have to do all of those things. You have choice along the way and people need to know about their informed choices and what decisions they can make, and that’s where I come in to give them all of those options that are there for them to choose from. If they decide to choose them or not, it is [more] about them having the option to know what they can actually do, because a lot of people go in and follow what the doctors say. The doctor’s job is to keep mom and baby safe, but sometimes in that, people feel that at the end of the day they weren’t really listened to, they did not have much choice, and feel that they have given over their own power about their own body, and for women that’s important for them to know that it is their body and anyone that is going to touch you does need informed consent. You have so many options of how you get to having your baby, people just need to be educated on how that process works, and that’s where I come in. I am there with them during the birth the entire time and helping them physically and making sure that both parties are fed, have water and if they have any questions. I am there with the family, so they feel like I am one of their team. Afterwards, it is hard because there is breastfeeding, and healing from possible surgery, and all those types of things, still in a non-clinical setting, but I am there to support them with all of that because I have been there since the beginning. If you have/feel comfortable sharing, can you explain your experiences as a Black Health professional in your field? I honestly don’t really have any. I am biracial, I grew in that household, so I don’t know what it’s like not to be, but I don’t think it’s ever been an issue, I mean I kind of stand out like a sore thumb, not only because it’s a very female dominated profession, both RMT and Doula, and I was the first male to be certified through DONA, first in Canada and Nova Scotia, and the fact that I am a Black guy, well I guess is a good thing, only because when you picture in your mind what a Doula is, this is not what you picture. I’ve always said I don’t think it matters that I’m a man, and it doesn’t matter that I am a Black man, it is my intention of what I’m doing that matters, it is the intention that the work is in the right place, that’s what matters. For me it’s the right fit for me and works well, what I look like I don’t think matters as much compared to the work that I do. Can you explain your experiences and ability to access health services? I have three boys, and with kids you’re always in the hospital at some point. There was one particular time where it was sort of a defining moment, and my wife and I dealing with the decision of who is going to go to emerg. I stayed home with all three kids when they were younger before they went to school and then ran my business in the evenings, and there was a time where my middle guy broke his arm at pre-school, so I had to take him to emerg and I was there for a long time, like a really really long time. Then my wife showed up and he was taken care of right away. I hate to read into it too much, it could have been circumstance, his arm wasn’t hanging off by a thread, but he still had a broken arm and the amount of time that I was there with him sitting in a room [where] he was watching an iPad that they gave us while waiting for x-rays, compared to the amount of time that she [wife] was there, where he got attended to, casted and discharged was significantly shorter. So since then, if there is something that needs to happen, like if we have to take the kids to the IWK, she [wife] goes. I’m not saying that one incident is indicative of the care that I get, or my children get when I go there, but I don’t know what other people’s experiences are, and that one experience changed the way that my wife and I decided who is going to go. It was nothing that was overt, but after the fact when I was driving home, I was mad, only because it’s not about me, it’s about my child, he needed to get some stuff done. I don’t know what was happening in that emerg at the time, but that was the only incident in my entire life that I ever was “oh”. 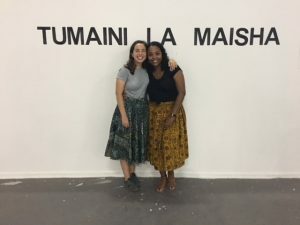 So now, my wife and I do have that discussion that “well maybe you should go” and it really pains me to say that, but that’s the reality, we had to have that discussion because of that one experience. That’s the only time that I’ve had any dealings with the healthcare system that I was like “hmmm interesting”, but I don’t want to make it a huge thing because I don’t know if that is what actually happened, it was just an observation, but is that observation enough? Imagine all the other families that have to take their kids in there, or are being treated themselves, they do not know what it is not like to be a visible minority going into that same situation. The job of the hospital is to take care of whoever comes in, period. 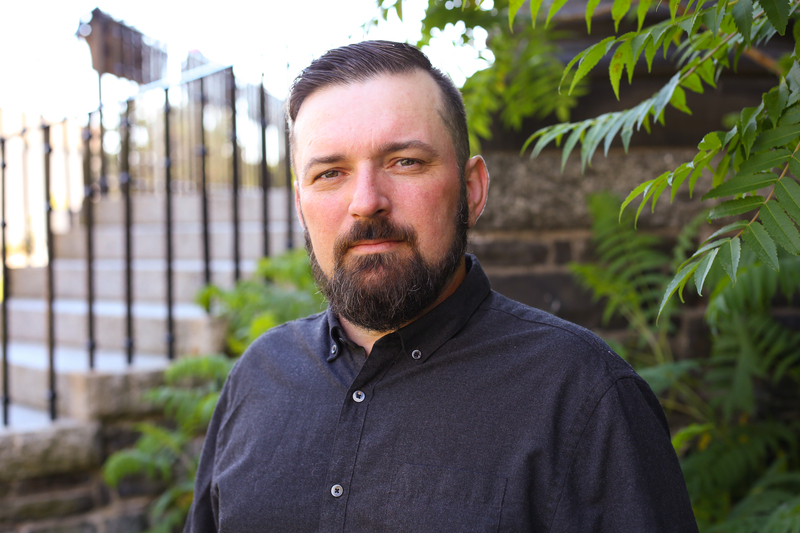 Within the massage profession I’ve been around for a long time, so I’m very involved with the Massage Therapy association Nova Scotia, I’ve been on the board, served two terms as president and now vice president, I’m very involved in the massage community. Within the Doula community, I was on the board for a short term. I am an accepted member of the community. But I’m quite involved in my profession. You can find me on my website; www.evolutionmassage.ca! 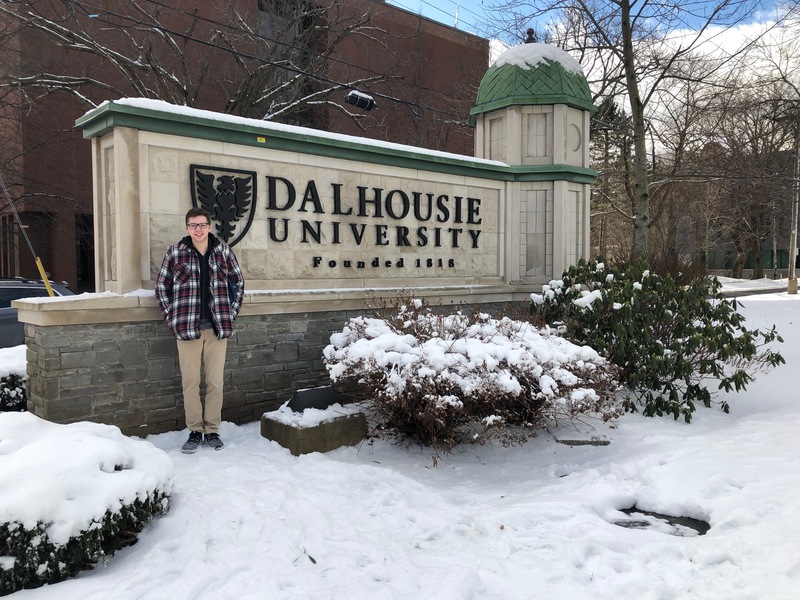 This week we have chosen to highlight the amazing work of 3 Dalhousie students, 2 of which are Queen Elizabeth Diamond Jubilee Scholars through the Global Health Office. 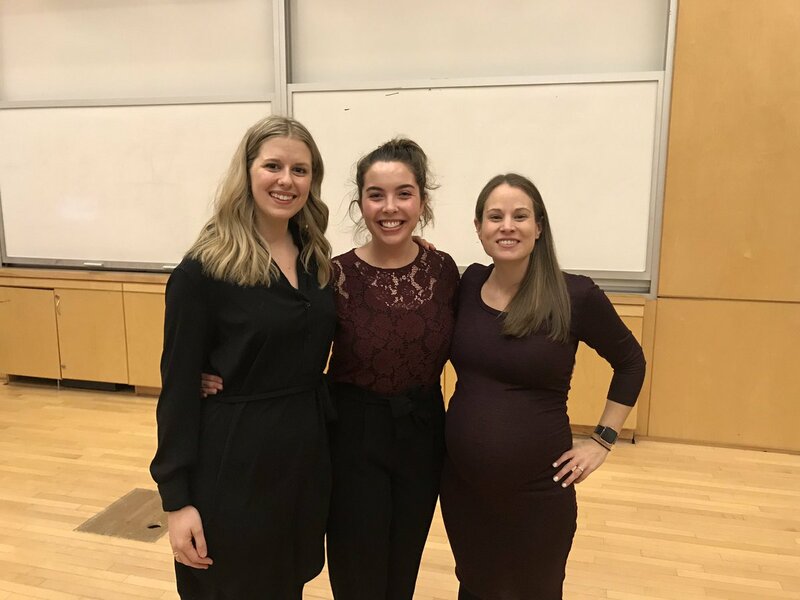 On March 14, Faculty of Health PhD students Justine Dol (Health), Brianna Richardson (Nursing), and Rachel Ollivier (Nursing) made a compelling case for their health innovation: Essential Coaching for Every Mother at the local Dalhousie competition of the World’s Challenge Challenge (WCC). The students won the round and were chosen to represent Dal at Western University in June 2019. The goal of Essential Coaching for Every Mother is to share knowledge with mothers and improve their confidence in caring for themselves and their baby. The innovation will send daily text messages to moms in Canada and Tanzania containing information related to caring for themselves and their baby during the first six weeks after birth, when and where they need it the most: right at home. The one-way messages will be based on the best up-to-date evidence, existing World Health Organization guidelines, and local standards of postnatal care. The full Dal News Story can be found here. Promoting Leadership in health for African Nova Scotians (PLANS) is writing a monthly blog post highlighting “Faces of Black Health”. This post highlights Crystal Watson and the profession of Certified Therapeutic Recreation Specialist. 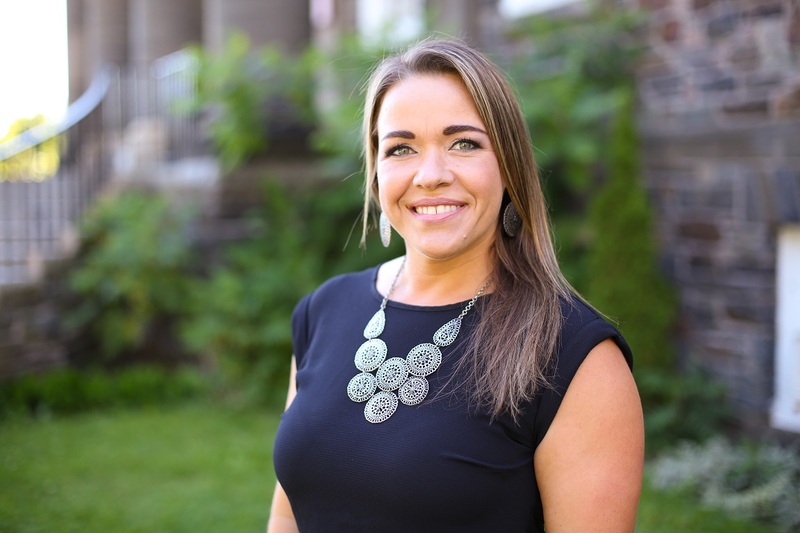 I am currently the Executive Director for Recreation Nova Scotia, a non-profit organization striving to improve connection within the recreation sector so that we can promote and advocate the benefits of recreation as part of the lives of Nova Scotians! 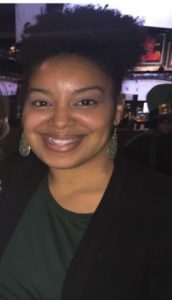 I am a Recreation Therapist by training, credentialed through National Council for Therapeutic Recreation Certification (NCTRC) as a Certified Therapeutic Recreation Specialist (CTRS). My primary role as a Recreation Therapist is to use recreation and leisure opportunities as a therapeutic tool. We consider the recreation interests and experiences of the individual we are working with, and we also take into consideration what their needs are or any kind of barriers that they experience that may be a consequence of their current health state. It really is about recreation and leisure and how we can make improvements to one’s overall health! If you feel comfortable sharing, can you explain your experiences as a Black Health professional in your field? I wish I could say it was easy. 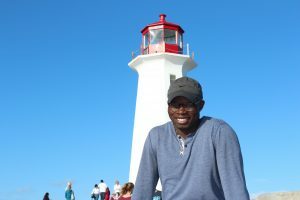 I was the first person of African descent to be a Recreation Therapist in Nova Scotia and I think with that alone comes a lot of expectations. We don’t necessarily have to explain the particular preconceived notions that some people may have of you when you go into these particular environments that you may not necessarily feel safe in. 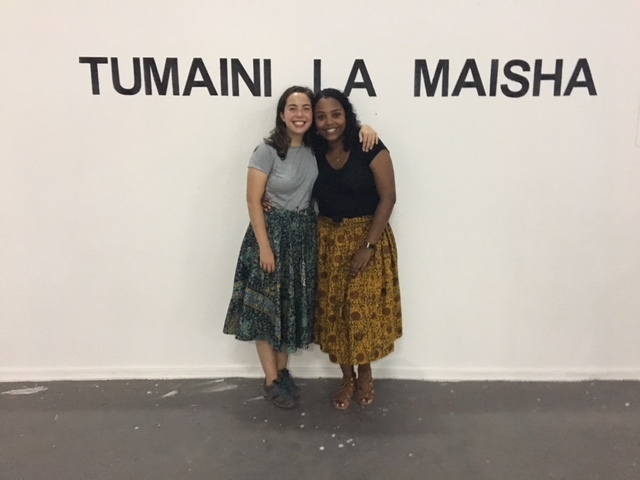 Healthcare is not something that folks of African descent are necessarily accessing or feel safe in those spaces, and for me that was a challenge that I had to overcome. At times, being the only one in the role that I was in, meaning that I was responsible for making decisions I was accountable for, sometimes you would have your judgements questioned, which made you think that you weren’t doing things right. So, for a period of time I second guessed my abilities to do the job and do the job effectively, but I quickly grew out of that and realized that I had the expertise and that there were opportunities for me to contribute in positive ways. I was reassured, as a result of my contributions by the reactions of the clients, which is, I think, what helped me to realize that I was doing ok and didn’t need to be validated by my co-workers because the work that I was doing with the clients spoke for itself. I think as I matured, and because of my education, that made accessing health a lot easier, because I knew what kind of information I was looking for based on my own training. Of course, that puts you in a place of privilege because you kind of know, but at the same time your knowledge can be questioned by the health care professional, they may have some preconceived notions about you. What tends to go well with me when it comes to healthcare is the fact that I try to equip myself a little bit when it comes to wanting to have the information that I need or that I feel that I need. I’m not always sure that health care professionals sometimes think about the broader context of cultural competency. It’s really challenging because I think a lot of the times we are inundated with this information about cultural competency, and we think that “oh I took into consideration that this person is of African descent” and created this sort of checkbox system, but we don’t think about anything else that is going on in that person’s life. This is something that we could do better as health care professionals on a broader scale. If I’m a person experiencing a specific health issue, that may be one of many things that may be happening with me that has an impact on my health. So, if I’m caring for a parent, or I have young children, or I live in a really bad neighbourhood, or I don’t have a job, all of those determinants of health are what I think we need to be more conscientious of when we’re working with individual’s who specifically come from communities where there is a level of vulnerability or marginalization, or whatever terminology we choose, but they are just grossly impacted by a system that just wasn’t created for them. It’s actually interesting because I graduated from my undergrad degree in 2000, and there were a few of us that went into Therapeutic Recreation and I’d say that we’re still very close today! We still connect, and so for me community in the profession begins there and having those key folks in my circle. The Therapeutic Recreation community is closely knit anyways, though at times I feel that I am a little removed from it now because of my current role, I know when I was in it there were fantastic mentors and professionals in the field that I felt comfortable connecting to and brainstorming and working with through professional organizations, which I think is really important. I think all students should become involved in their professional organization and maintain those connections as a professional. It’s very valuable for us to maintain that network so that we establish appropriate communities of practice but also having that continuous learning that comes from understanding what your colleagues are doing and how they are contributing to the field. To read other professional profiles and and more about PLANS please visit the PLANS webpage. My name is Brandon Parsons and I am a student at JL Ilsley high school. I am currently a grade 12 student. I found out about the camp through my school’s aboriginal director. At first giving up my march break didn’t seem very fun, but she convinced me to go and I do not regret it for a second. I attended the Kitpu “Eagle” Wise march break camp, it is a day camp for Indigenous youth wanting to explore and learn more about medical fields. Personally, I find it hard to get up early, essentially if I don’t have school. To me the first day was nerve wreaking, I was so nervous. After the first day was over, I was so excited to go back, and I was actually happy to get up early. I tended to show up early to hang out with the other students before our day started. I made a lot of friends at the camp and we still text and hang out regularly. My friends and I were always excited to learn about the medical fields. Often, we had lunch and learns and people who work the regular day to day medical jobs came in and talked to us. I really liked that it was more of conversation rather than just a presentation. We also talked to students and teachers of the medical programs at Dalhousie University. It was really cool hearing the perspective of the students considering that’s where we wanted to end up. My favourite part of the camp was shadowing the dental students while they had actual patients in and getting work done. I enjoyed seeing the work from the class room put into actual use in the real world. The camp isn’t just presentations and watching, there is a lot of hands on activities to do which my friends absolutely loved. Brandon and Tom McCutcheon, Options & Opportunities Program Coordinator of JL Ilsley High School. The Indigenous Health program manager for the Faculty of Medicine is Joe MacEachern and he is the Kitpu Wise camp leader. In the camp we learned about a lot of different Health Science programs but not what Joe did as a job. This was something that really interested me. 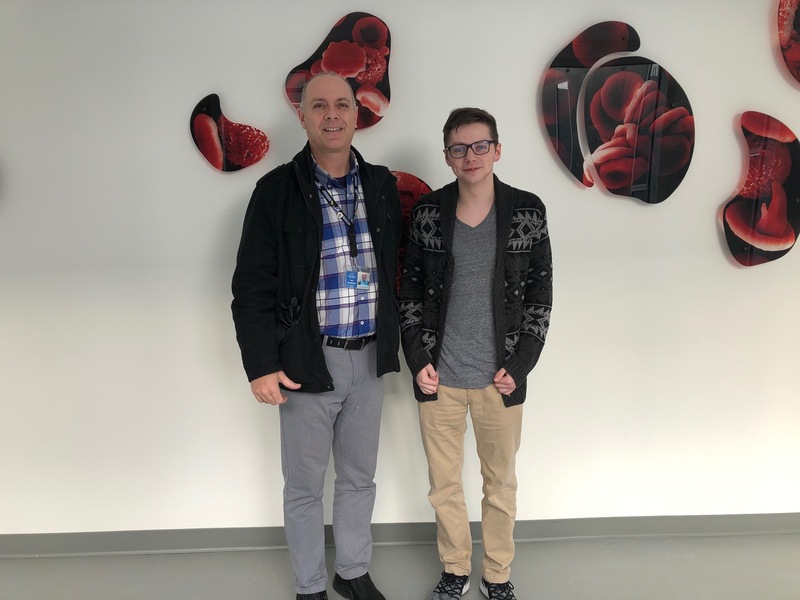 Joe MacEachern stayed in touch with me offering me advice and support as I was planning my future studies, and when the opportunity came up through the co-op program in my school, I reached out to him about doing my co-op with him at his office. He was very receptive to the idea and I am currently exploring what he does on a day to day basis. One of our main goals while working with him is the planning of the camps and making them even more amazing then they are already. It has been interesting to see how the feedback we supplied in our reviews of the camp are now creating new opportunities for the next group of students that will attend in 2019. To wrap this up, I loved everything about the camp from the opportunity to learn and the friends I made. I am really excited to go back next year. As an Indigenous Student Support Worker for the Halifax Regional Centre for Education I have helped several students attend the Dalhousie Health Sciences Camp programs. My students have really loved their experience at the camps. The students who had the privilege to participate in camps, especially the March Break camp Kitpu Wise, couldn’t stop talking about how wonderful it was. The students were exposed to many medical careers and it opened their eyes to possibilities for a future some never considered could be theirs. My students enjoyed meeting the various health professionals and taking part in all the exercises. The participants really enjoyed the hands-on activities and job shadowing. Many felt the cultural component to the camp was extremely important and one of their favourite parts. Everyone who took part in last year’s camp cannot wait to return and they are always encouraging other students to apply. I truly believe that the value of this camp is immeasurable. 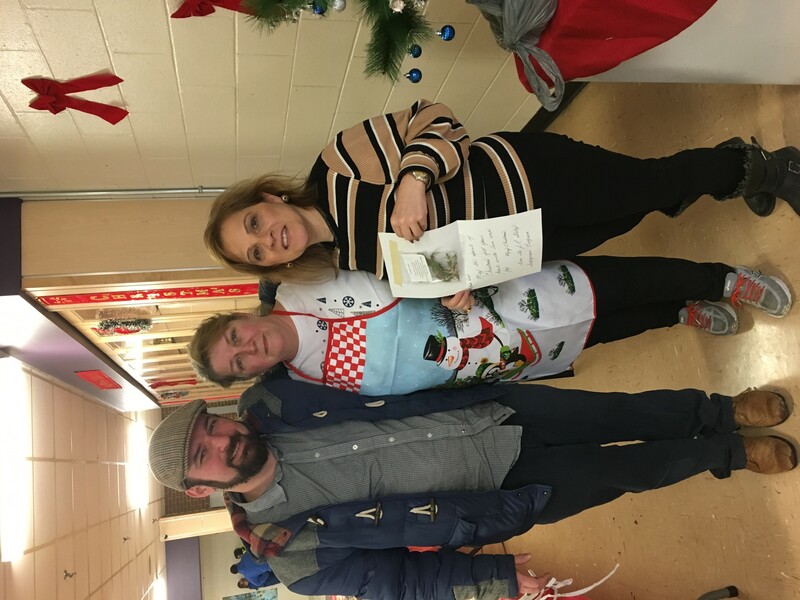 The support provided by Joe MacEachern, the program manager, to help increase accessibility for my students was amazing. 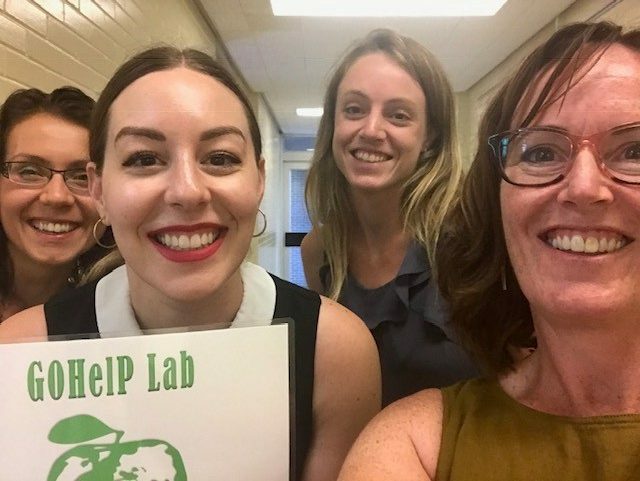 There were several barriers identified, such as transportation and food, that would have prevented many students from ever experiencing an opportunity like this but the program manager was there to help address these issues a manner that was amazing. All week I kept receiving extremely positive updates from my students about camp. Their calls and texts were full of, ” Tish, guess what we did!” “Tish, do you know what I can do!” ” Tish, what courses will I need to take to become…” ” Tish, do you know what I found out..”……… The confidence of my students was bolstered, and the camp helped to reinforce that they can have the future they want instead of one chosen for them by circumstance. The students still speak extremely highly of Joe and the continued support from Joe has been sincerely appreciated. Everyone is looking forward to camp this March Break. To learn more about programs for Indigenous youth please visit the Global Health Office website. Promoting Leadership in health for African Nova Scotians (PLANS) Presents a new section of our social medial plan, bringing to you the faces of Black health professions! This post highlights the profession of Nutrition and Dietetics! 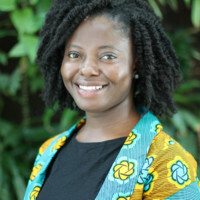 We had the opportunity of connecting with Ruth Boachie whose background is in nutrition and food science having studied at the University of Ghana (BSc. Nutrition and Food Science), and then later obtaining her Masters of Applied Human Nutrition from Mount Saint Vincent University. So Ruth, what you do you currently do in your work? I am currently a Quality and Research and Development coordinator at Nova Scotia Organics. We make whole food based dietary supplements that are certified organic. Can you describe your role in nutrition? As per my job, I ensure that whatever finished products we send out to the consumer meets Quality standards and [that] it is safe for consumption. I also work to develop new products that have beneficial effects on health. Can you explain your experiences of and the ability to access healthy food choices, and other food services? This might be easier for me considering that I studied nutrition in school. I studied how food and its components affect the body when it’s eaten, and the role it plays on the overall health outcome of an individual. So, I am able to make my meals with affordable food items that I know will provide health benefits. I find that it requires much intentional efforts to look out for these products since it is easier to access food with low nutrient content. However, the challenge I see with respect to this is that, most people think healthy food is ‘expensive’. This might be true to some extent but not always. This will go a long to improve our food choices and overall health. How have you found or are you finding community in your profession? I have had much connection with the general community, and other professionals in different Health sectors. 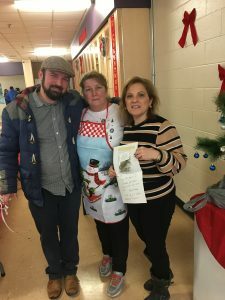 I have had several nutrition education activities with different groups and I found that interesting because I got to share very practical ways of making healthy food choices. There is always room for improvement, so the Black Health professionals can be a driving force in reducing risk factors for chronic diseases in the Black population. Considering that Blacks have high risk in developing diet related chronic diseases, it is only expedient that we come together to share knowledge. After four months of education leave, I am celebrating my return to the Global Health Office with a renewed focus and commitment to the Sustainable Development Goals. 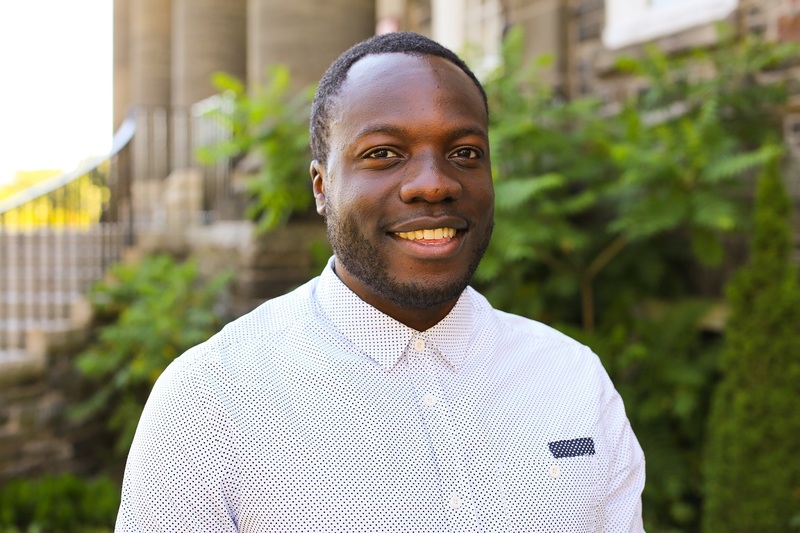 In September 2018, I began a new journey to compliment my work and deepen my impact through a PhD in Health Geography. 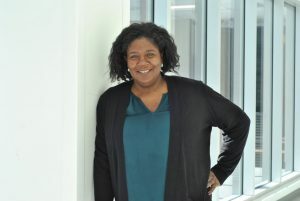 I am honoured to work with Dr. Susan Elliott as part of her research lab: Geographies of Health in Place (GoHelP) at the University of Waterloo (https://uwaterloo.ca/geographies-of-health-in-place/). The University of Waterloo is part of the U15 and is the Canadian site for the Sustainable Development Solutions Network (SDSN). The SDSN works closely with United Nations agencies, multilateral financing institutions, the private sector, and civil society to share knowledge, engage research and help solve the interconnected economic, social, and environmental challenges confronting the world. You might be asking, why geography? Health geography emerged in the 1990s through a debate about the expansion of ‘medical geography’ to reflect the changes in research, practice and health care settings. This change expanded the work beyond the “concerns with disease and the interests of the medical world” to focus on “well-being and broader social models of health and health care” (Kearns and Moon, 2002). There are three main themes in the geography of health: disease ecology, health care delivery, and environment and health. Disease ecology involves the study of infectious diseases (e.g., malaria, HIV/AIDS, infant diarrhea). The study of health care delivery includes spatial patterns of health care provision and issues like inequalities in health. Environment and health make the connections between environmental hazards research with health geography. Health geography contributes to how local geographies shape disease diffusion, health risk perceptions, social determinants of health and health inequalities (Rosenberg, 2017). Where we live matters, but not just for the reasons we might think. While we might associate the weather or terrain with a particular region or location, it’s also important to consider the social forces that help explain how where we live shapes our health and even our life expectancy. Geographers play an important role in collaborating with epidemiologists, public health professionals and researchers, professionals in sectors such as transportation, or with those who focus on water and food security. Geographers add spatial understanding to public health challenges. Context and environment are fundamentally important, particularly how they impact health. Stay tuned for more updates on my research and the importance of geography on our local and global health issues. Making justice the central principle of healthcare is imperative. In particular, justice for communities or populations who are confronted with barriers that limit access to equitable healthcare services. As a health care system, who are we doing best by? The human experience is subjective, relative, and individualized, but also universal. Loss, sadness, anger, joy, and celebration can be ways of relating to someone, despite preconceived notions or ideas about what one’s experiences or definition of ‘hardship’. Find common ground. Empathy is essential; you are an ally but must be humble in the little you know. Language can be impactful, both in research and in clinical practice. The meaning and use of language varies depending on context but also provides insight into sociocultural norms and perceptions. For example, the meaning of ‘danger signs’ in health can encompass different meanings. Think about language in your own context or environment and critique it. What does this say about what we, as a society and as individuals, really think or feel about something? How do we define ‘good health’? 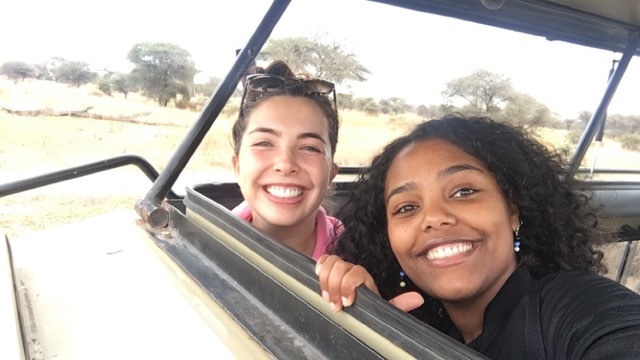 QES Scholars, Rachel Ollivier and Kalkidan Gebre, enjoying their time in Tanzania this summer. For more information about the Queen Elizabeth II Diamond Scholarships, please click here.